242 pages | 9 B/W Illus. Sebastian Filep, PhD,is Honorary Research Fellow, Victoria University, Australia and Lecturer at the Department of Tourism, University of Otago, New Zealand. 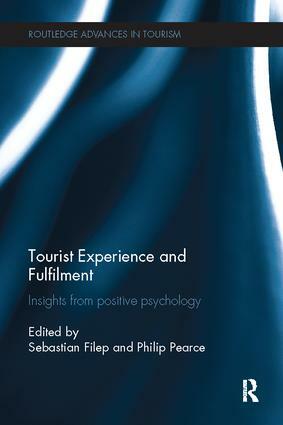 Dr Filep is a co-author of Tourists, Tourism and the Good Life (Routledge, 2011) and a co-author of Vacation Rules, a popular market e-book. Philip Pearce, PhD, is Foundation Professor of Tourism at James Cook University, Australia. He has published a number of books in tourism including two sole author works on tourist behaviour in 2005 and 2011.